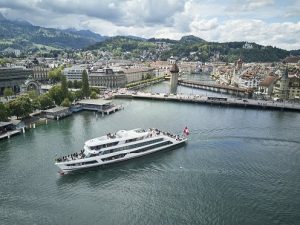 Global Travel Media » Blog Archive » Agents Reminded to Complete Switzerland Travel Academy for a Chance to Win $1500 worth of prizes! Agents Reminded to Complete Switzerland Travel Academy for a Chance to Win $1500 worth of prizes! 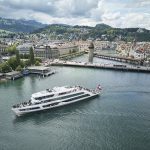 Switzerland Tourism is reminding agents who have not yet signed up to the 2018 Switzerland Travel Academy to do so before the end of the year and be in for chance to win one of three prizes valued at $500 each. A simple e-learning program, agents will be well equipped with the necessary information, updates, tools as well as tips to help them sell and better assist their clients heading to Switzerland. In order to be a certified Switzerland expert, agents must complete the core modules of the program and pass the final exam. From general information about the country to events, experiences and news, agents can also delve deeper to focus on niche markets such as family holidays adventure and accommodation options. While agents can complete the modules at their own pace, in order to receive a certificate of graduation, all modules and the final test must be completed with flying colours by 31 December 2018. Top performing certified Switzerland experts will stand a chance to win one of the following: a Victorinox watch, a Victorinox carry-on suitcase and a Westfield gift card. Winners will be announced in mid Jan 2019. To register, agents need to go to www.MySwitzerland.com/academy. Agents can hear more about the Switzerland Travel Academy here.